Space is often at a premium inside dorm rooms, but that doesn’t mean you should sacrifice security. There are very few truly safe places to stash items such as phones, cameras, cash, credit cards and other valuables. That’s where a compact safe comes in handy, and few are more compact than the diminutive GunVault NV300. Although, as the name suggests, it’s often marketed as a safe for firearms, the NV300 is also a portable, space-saving solution for storing other items of value. It’s certainly small enough for a dorm room, but does it offer the necessary security? Check out my review to find out! At 1¾” x 6½” x 9½” on the outside and 1½” x 6¼” x 9¼” on the inside, the GunVault NV300 occupies very little space and can be stored virtually anywhere. The body is constructed from solid 18-gauge steel, while high-quality foam pads the interior of both the top and bottom of the safe to protect your items against scratches and prevent the safe’s contents from shifting. The safe uses a three digit combination lock mechanism, and the safe can be further secured by tethering to a solid object with the included nylon-covered steel security cable. The cable tether is two feet long and rated for 1,500 pounds of force. If the NV300 is larger than you need, there is a NV100 and NV200 that are even smaller and are only opened with a key. While theoretically someone could quickly figure out the combination as there are only three digits which only gives 1,000 different numbers, I prefer the combination as I tend to misplace my keys and did not want the added stress of not being able to find them when I wanted the safe open. The GunVault NV300 compact safe uses a three digit combination lock and a knob on the top panel operates a latch directly underneath. The factory combination is set at “000” and is simple to set to any number you choose. The combination is now set to your desired number! The safe can also be secured to any sturdy object with the included steel security cable, a necessary safety feature given the NV300’s small size. 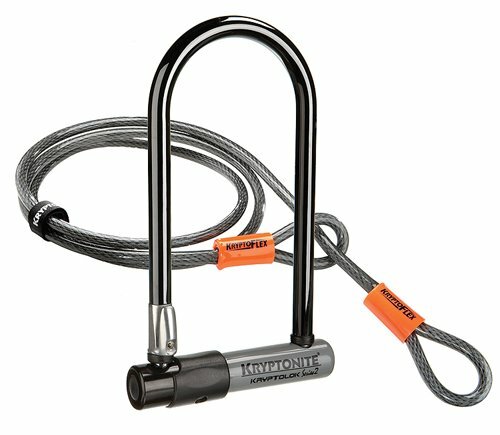 The braided steel cable fits through a small notch on the side of the safe, where it can be looped over the lock receiver and secured firmly in place. How did the GunVault NV300 stand up to my dorm safe review? Despite its small size, the GunVault NV300 is sturdy and well-made and appears to be the best made out of the compact safes I have reviewed as you would suspect since it is made to secure guns. The 18-gauge steel body is rugged enough to stand up to routine abuse, and the locking mechanism is robust and resistant to damage or manipulation. Though it isn’t likely to put up much resistance against a particularly determined and well-equipped criminal, its robust construction is an effective deterrent against casual would-be thieves, which is the primary concern at college. Inside the case, the memory foam padding is 1.25 inches thick and provides enough cushion to prevent most damage and hold the safe’s contents in place. 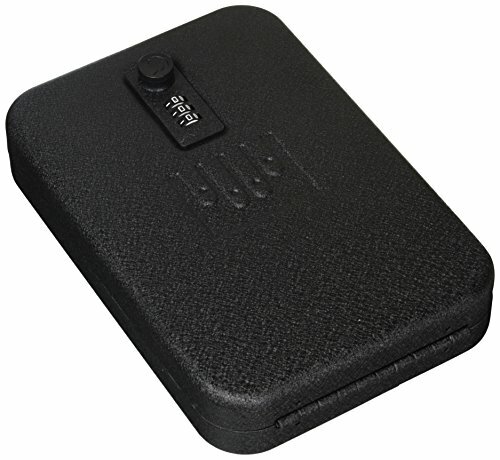 Many safes in this price range use the thinnest pad but Gunvault has put a quality pad in this case. Perhaps most importantly for dorm residents, the compact design means the NV300 occupies very little space and can be easily hidden or carried in a bag. For under $25, this safe will provide cheap insurance to protect your small electronics, credit card statements and other personal records. While this safe is easy to hide, some may find the storage space is somewhat limited. The inside measures 1¾” x 6½” x 9½”, and the locking mechanism takes up some of the interior space. Even so, the safe can easily fit a cell phone, wallet, spare cash and other small items. Although the interior is well padded, the back of the metal locking mechanism on the lid is left exposed. This poses a risk of scratches or other damage, particularly when opening the lock mechanism or traveling with the safe in a backpack. I also felt the quality of the included security cable could have been better as the cable is small in diameter, and the loops attached to each end don’t seem to be not well-fastened. Last, the padding does have an odor to it, so you may want to let it air out for a bit (mine took three days) before storing any items that could absorb that smell. All things considered, though it won’t offer bulletproof protection for high-value items, the GunVault NV300 represents a solid and versatile safe for a great price. The NanoVault 300 is a great compact safe to protect your stuff on campus. Keep Your Bike Safe Too!